PERRY SCREW MACHINE COMPANY, INC.
... a complete machining resource. From 1,000 parts to 10 million parts, Perry screw machine products continue to serve the electronics, telecommunications, and other OEMs. Metal capabilities include square, round, rectangular, tubular, or hexagonal. Our single-spindle Brown & Sharpe machines have a capacity from 1/64" to 1 5/8" round, while our multiple-spindle Davenports handle 1/8" to 9/16" round. Modern equipment combined with experienced and skilled machinists means quality products on time. 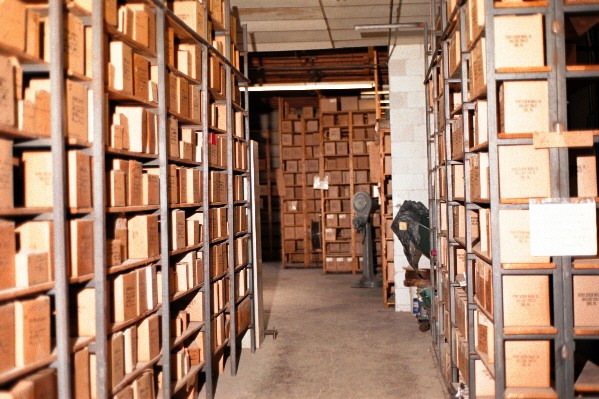 We stock parts for our large volume customers, then deliver JIT. Our production line of Bown and Sharpe screw machines. 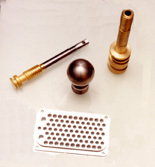 Sampling of parts produced at Perry Screw Machine. 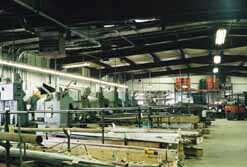 Davenport multi-spindle screw machines in our facility.